Northwest Bifolds offer a wide range in aluminium French Doors, perfect for the rear of the property and for balconies, gardens and other rooms in the home. 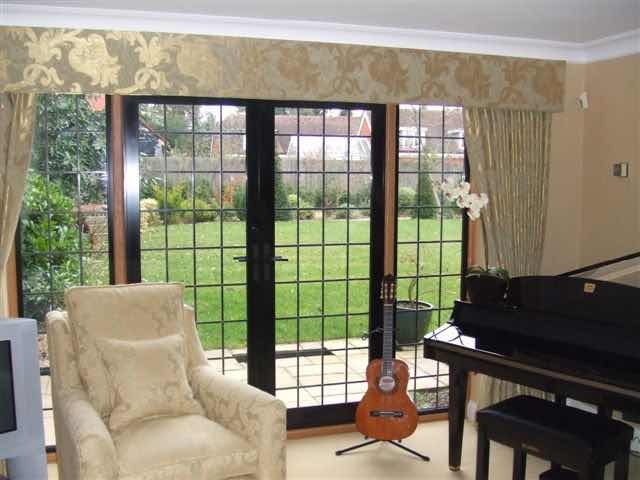 We offer a market leading range of French Doors no matter what your tastes, budget or property. Offering the advantage of high strength and maximum glass area thanks to the slimline nature of aluminium, they offer many benefits over typical PVCu doors. Available in a choice of profiles whether you are seeking the ultimate contemporary French Door or something more traditional for an older property. Why choose an aluminium French Door. Aluminium entrance doors bring many advantages of other types of doors. If you are already investing in quality aluminium windows and doors elsewhere in your home, it makes sense to offer those same aluminium advantages to your rear doors. Aluminium doors can be made much wider and taller than their PVCu counterparts. This means you can enjoy full height doors where many other products rely on toplights and side screens. Choose from virtually unlimited colours. Aluminium doors enable you to have all the advantages of sophisticated powder coating technology. Not only does powder coating offer long colour life, durability and protection but no other material can offer the range of colours and textures offered by aluminium. You can benefit from satin, matt or gloss shades, different colours inside and out, metallic, textured and anodised finishes and even wood effects in aluminium. A choice of glass and panel options. Our Aluminium Doors are offered with a choice of patterned, sandblasted and acid etched glass if required. This is further complemented by a range of ultra strong and highly secure decorative or flat aluminium panel options to create contemporary bespoke styles. Doors with High Security and Energy Efficiency as standard. Whatever door we help you transform your property with, you are assured of maximum security, high strength, a choice of hardware options, excellent weather performance and reliability. Contact us to find out about the versatility and flexibility of aluminium doors for your home.